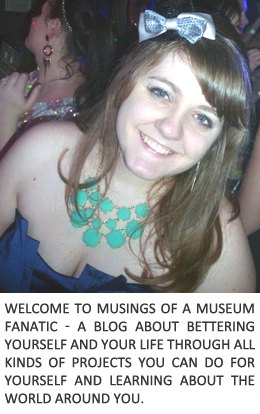 Musings of a Museum Fanatic: 101 in 1001! So my very good friend Stephanie has pressured me again. I give into peer pressure way too easily don't I? 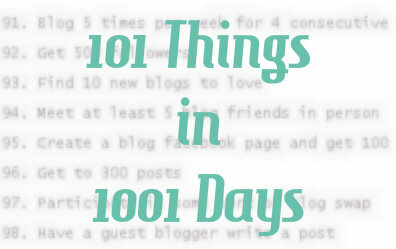 : ) We've been inspired to start our own 101 in 1001 lists. This past summer I had a summer bucket/to do list with one of my bffs, Jackie, so I already had a head start on a few of the items on my list. I think we should start it up ASAP! What do you think? Also I have a couple of items that aren't very specific but I know I want to do something (see #22 & #69 for sure). Suggestions welcome! 1. Find a full time job! 14. Travel further west than Nebraska! 22. Scrapbook ... use all my supplies? Make a book for myself? 74. Throw my first dinner party in our home. 95. Wear every item of clothing & jewelry I own at least once ... have already started this past summer! 100. Put $5 into savings for every goal accomplished. 101. Celebrate completing our 101 with Stephanie! I might be biased, but I love your list :) Let's get started!